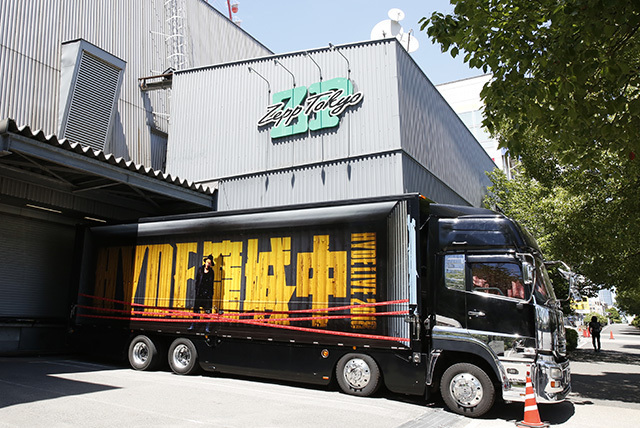 It is the 4th day of ZEPP TOKYO. So , on the first day of the tour, I will be taking self in front of the tour track. 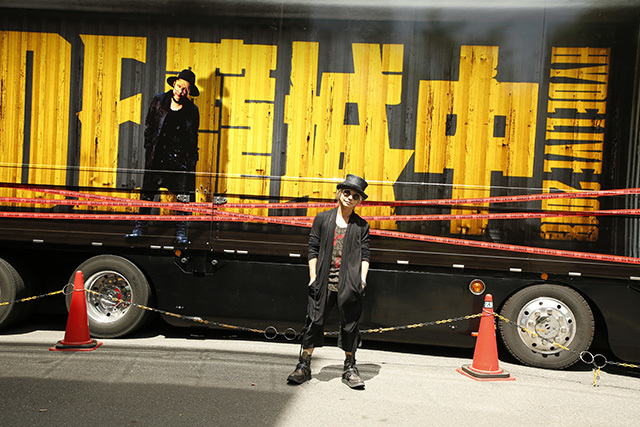 picture in front of the truck. 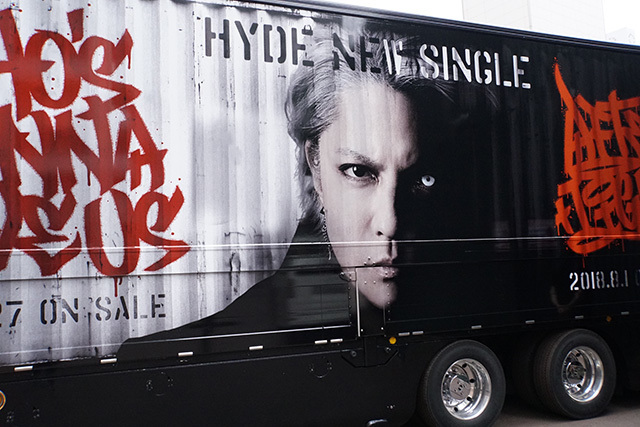 It is HYDE from HYDE. 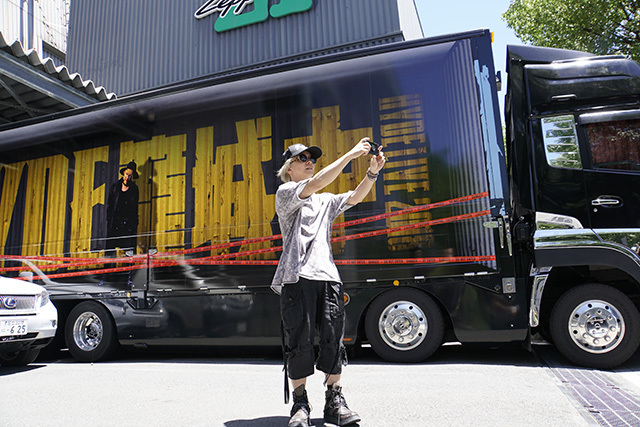 "I want to like trick art"
is designed by HYDE so that everyone can enjoy photographing in front of the track . the picture on the other side due to the parking lot Yes, here is the left side! 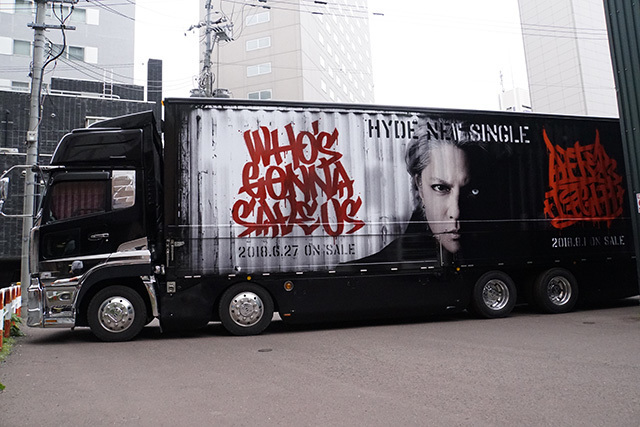 It becomes the announcement of the new single which made the Ar photograph of HYDE the main . please find a tour track and shoot it and enjoy it. 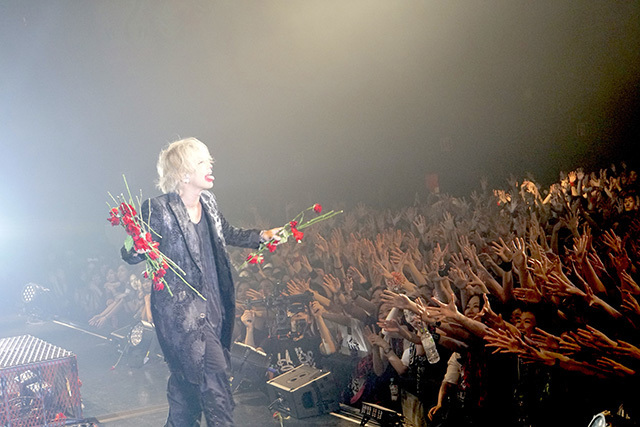 live is a lively enthusiasm of Moon Mun.